Honey Creek Bridge, Okmulgee Co.
We had to double-check our map after seeing the plaques on this bridge, as the first two photos will show. 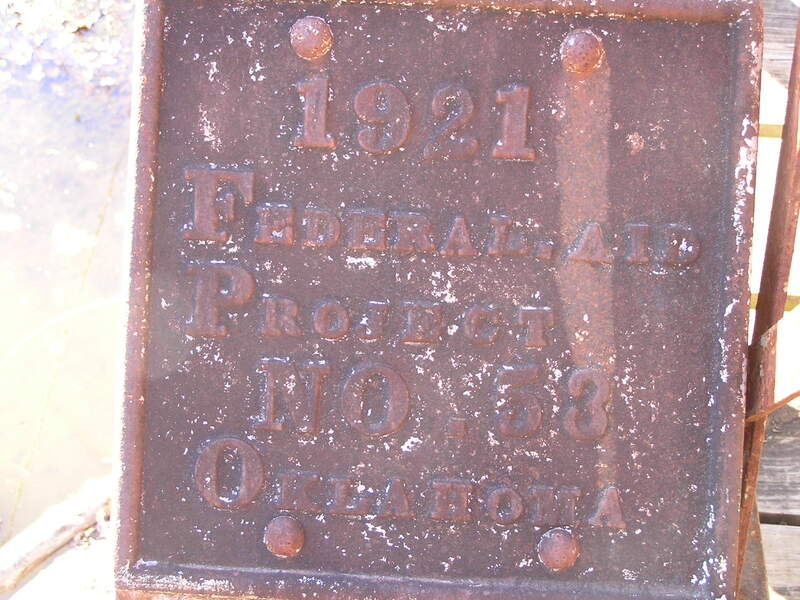 Located west of Okmulgee in the Nuyaka region, ODOT records give a construction date of 1928, though plaques on the bridge give the actual date of 1921 at the original location. Above and below, these plaques indicated the restlessness of truss bridges-they are mobile. 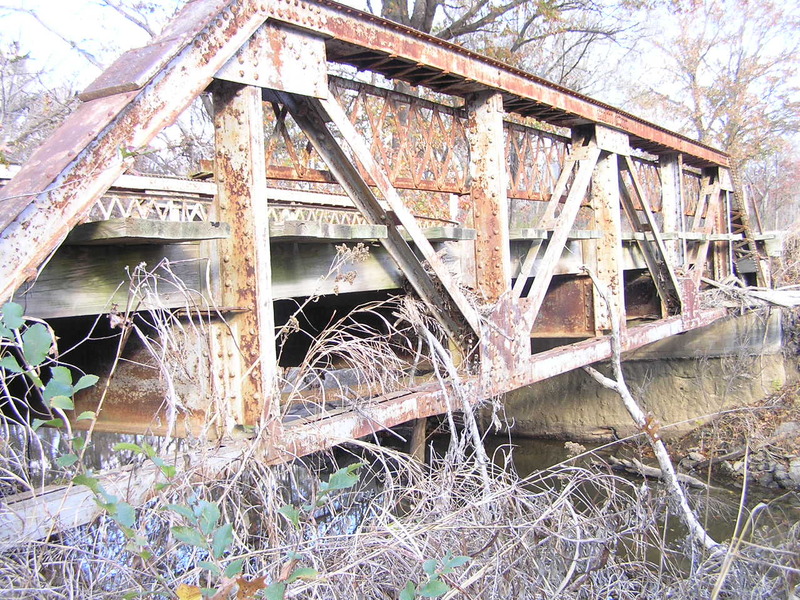 No other bridge type has this feature as easy as truss bridges. 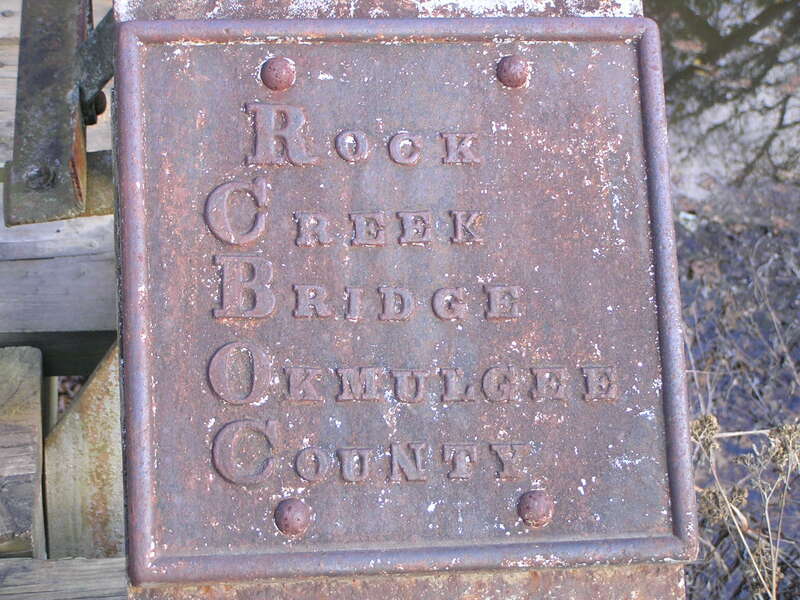 Apparently this bridge originally stood over Rock Creek, and was Federal Aid Project 53. 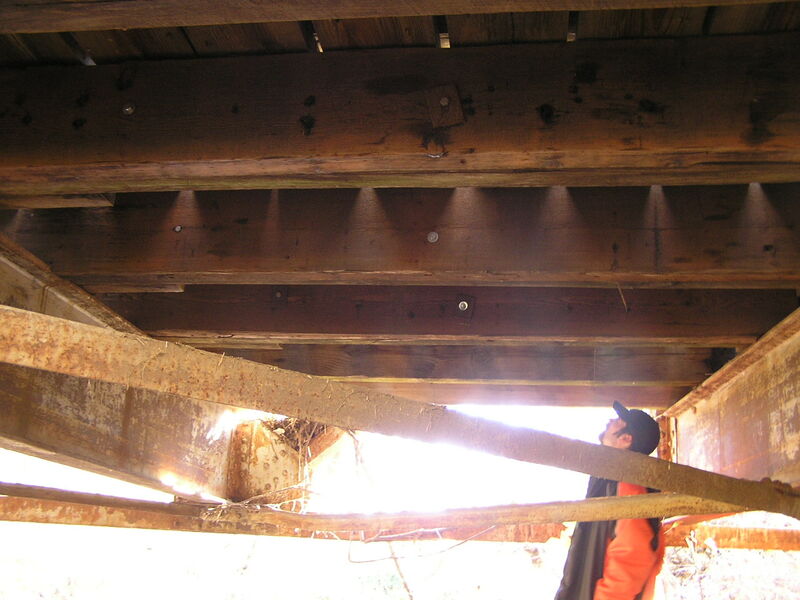 Above, a view through the bridge, and below, a view of the side showing why the trusses look so short. 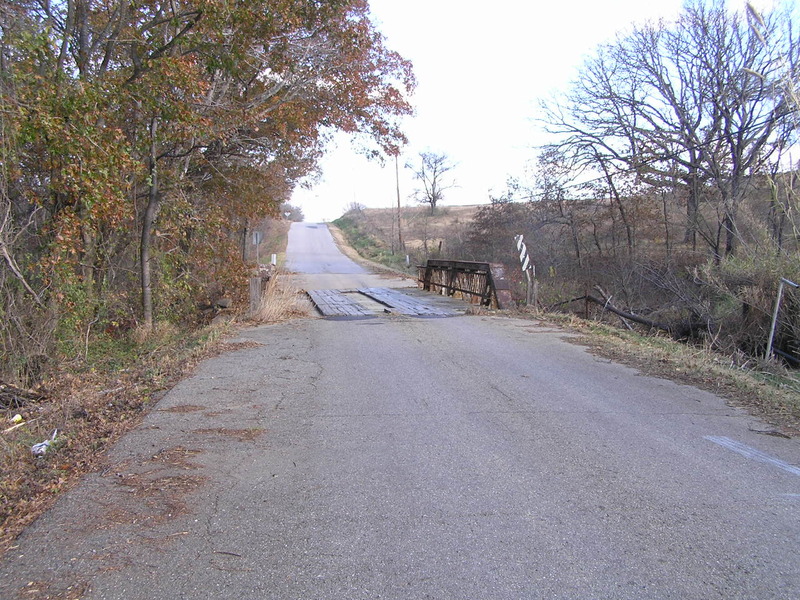 It is likely that this bridge had a concrete deck without stringers at its previous location. We base this statement on the fact that this design of bridge has been recorded now in several other locations, and all with concrete lacking stringers. Note here that wood has been used for the stringers. Below, a view under the bridge of a typical panel. The steel floorbeams are very deep, and the wooden stringers, or joists, are quite substantial.